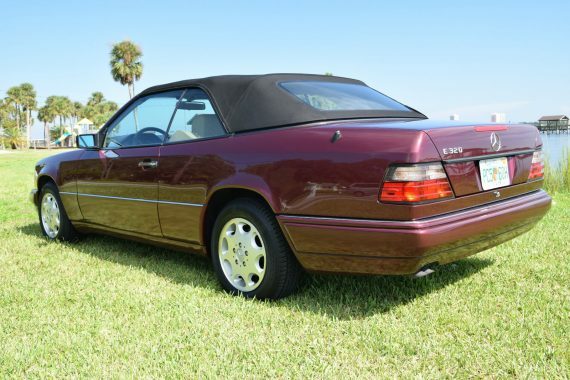 One thing that amazes me about the W124 cabriolet is how expensive it was when it was new. In 1995, when you droveÂ into the lot at your local Mercedes-Benz you didn’t have a ton of choices. You only hadÂ the C, E, S and SL compared to the 16 different models now in 2016. 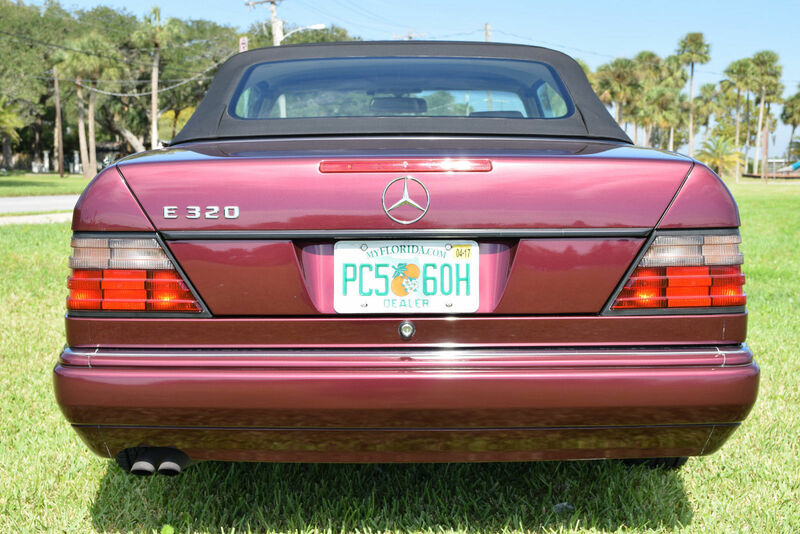 If you made your way to the E-Class lineup, you had the E300D, E320 and E420 in sedan form. 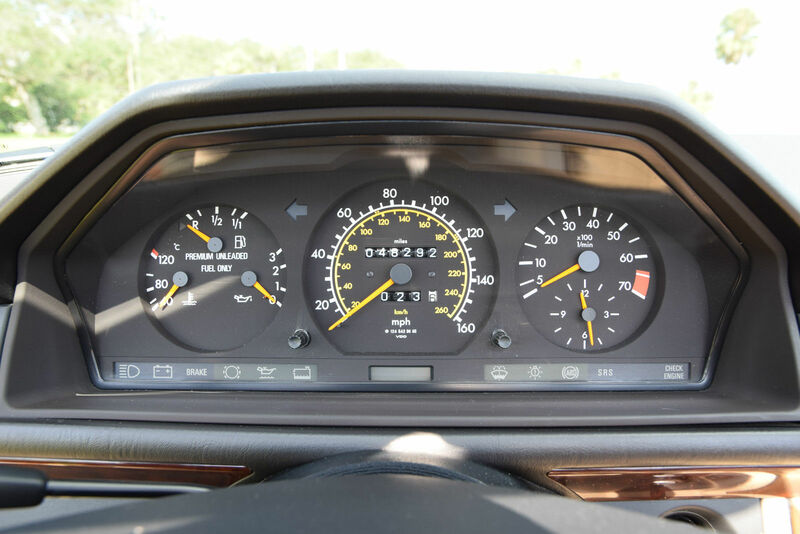 (Sadly the E500 was axed after 1994). If you needed to haul some stuff, there was the E320 wagon. If two doors were more your speed, you could either go E320 coupe or cabriolet. Now you think the prices would all be somewhat comparable since hey, they are still all E320s, right? Well, not so much. 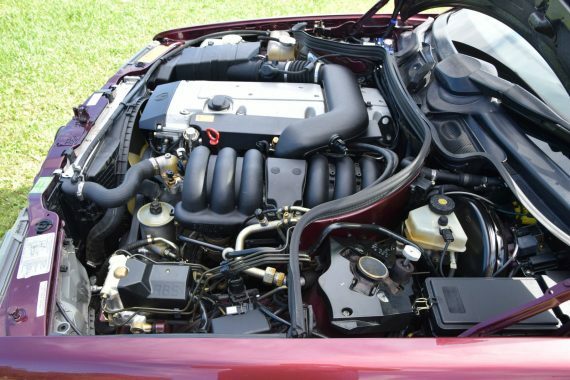 The standard E320 sedan came in at $43,500 while the coupe was $63,000. Now the cabriolet, you ready for this? The MSRP price was $79,000. 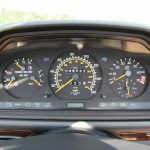 Just for kicks, the 1995 SL500 was under $90,000. 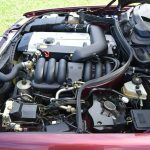 So why did the cabriolet run almost twice as much as the sedan? Cost. To make this car perfect, it’s not just as easy as chopping the roof off and adding a soft top in the trunk. Over 1000 parts had to be changed or modified from the coupe to be at the standard Mercedes wanted. The A-pillars were welded together with metal inside the pillars to form a stronger unit in the area that is prone to buckling. To combat vibrations, there are a system of dampeners in the front and rear of the car as well as the roof frame. In addition to all that, fitting an automatic top was no easy task as the roof mechanism has 27 linkage parts and 34 joints. Mercedes manged to make a perfect top and still left you with a generous amount of room in the trunk. All of the designing, all of this engineering and all of these materials combined with labor made this car so expensive.Â Clearly, Mercedes has figured out a way to keep costs down now because a 2016 E-Class coupe is only $2,400 more than the sedan and the cabriolet is only $8,000 more than the coupe. If you’re looking at this ad, then it’s likely you know exactly why this car is special. 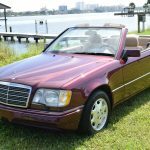 Largely considered the spiritual successor to the 1968-1971 280se Cabriolet and the last hand built Mercedes Cabriolet, the E320 Cabriolet was a classic from the moment it was built. When you review the photos, you’ll notice an Autoweek article from June 10, 1996 correctly predicting as much. This particular Cabriolet could grace the showroom of any Mercedes dealership. It’s that nice. Period. Stunning Original Paint. No Accidents. No Paintwork. Recently Serviced with no detail overlooked. I even had the headlamp wipers replaced. Mechanically sorted and no excuses. 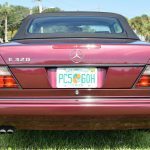 As the values of classic Mercedes Benz continue to rise, you enjoy your Cabriolet while seeing a nice return on your investment! Now that we are done with a short history lesson, let’s take a look today’s car for sale in Florida. 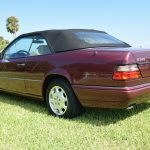 This is an excellent example of the W124 cabriolet. Ruby Pearl Metallic is a wonderful color that really shows well on this body. Just looking over the rest of this car, it’s tough for me to find anything wrong at all. Everything looks as close to showroom condition as possible. This car being offered at just under $25,000 is a fair price considering the color and condition. Is it a ton of value for the money ? No, not really. You can buy one of these at half this price but they aren’t perfect like this one. Are you going to make money on this car? Probably not in the short term. Values of these cars have hung around the mid-teens for a long time now for good examples and they haven’t moved much. You really have to love these and want one to justify the price but if this is the case, then go for it. 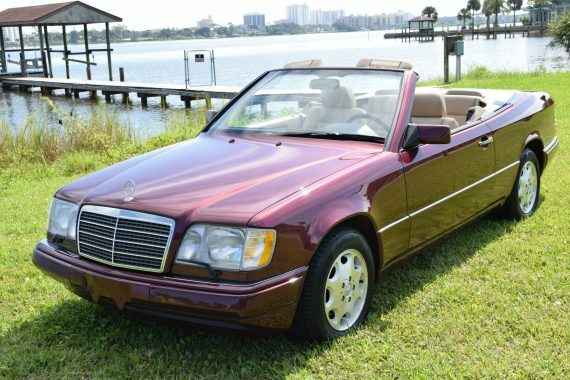 Tagged 1995, 3.2, 572 Ruby Pearl Metallic, Cabriolet, E320, M104, Mercedes Benz, Straight Six, w124. It is a correct, but rare, color for a 124 cabriolet. I have the color on an R129. It looks even more stunning on this 124. On this car, and the 129, beware sun baked plastic on sun visors, sun visor vanity mirror cover and interior rear view mirror housing. Very fragile and frequently damaged. Replacement plastic parts are expensive. I’m in Arizona and see this as an issue on local cars. Notice the 10/95 build date. This is one of the last 124 Cabriolets. Daimler-Benz built a run of A124s at the end of production to satisfy ongoing demand after the car was discontinued. All were built in one of three “jewel” colors: 269 Brilliant Emerald, 366 Azure Blue and 572 Ruby Red.